Moving to Denmark Hill, SE5 | High Quality Services - Call Us Today! There are many reasons we could give for hiring our removals company and each one of them is valid. However, it's perhaps because all of these reasons together make us such a great removal service that it makes us so popular in so many areas. If you haven’t heard of Moving Service before, then rest assured, you’ve come to the right place. For you to have better removals in Denmark Hill, SE5, in addition to having a less stressful build up to your removals day, then you need our company’s expertise and professionalism. This professionalism and knowledge is shown in the work done by our superb, highly trained removal men who take great pride in their work and in helping people relocate on such an important day. This caring attitude is also shown in the friendly, helpful and courteous service you receive from our customer service. We are always on hand to answer any questions you have and by calling on 020 8746 4402, if you should ever find yourself panicking at the thought of house moving, then our expert advisers will get you through it. There is not a lot we don’t know about home removals and at the same time we can understand why the prospect of moving a home is so daunting for so many people. Why not give us a call now and we'd love to hear you on 020 8746 4402. It is an area in South East London which has the postcode SE5. 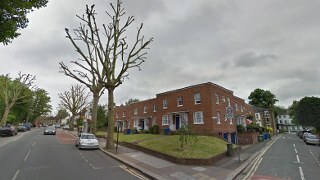 It is part of Camberwell and is located within the London borough of Southwark. It is known as an area which, on clear days, has great views over other parts of London. Two important buildings in the area include the Maudsley Hospital and King's College Hospital. Maudsley Hospital is a highly regarded psychiatric hospital which serves the local community of Southwark and Lambeth as well as patients from across the UK. Kings College Hospital also serves the local area as well as being a referral centre for the whole of Southern England. Denmark Hill Railway Station has trains to London Victoria and Blackfriars as well as Sevenoaks and Dartford. It also has London Over ground services to Highbury and Islington, and Clapham Junction. Ruskin Park is a lovely green space in SE5 which has no less than 36 acres. This Edwardian Park situated between Herne Hill, Brixton and Camberwell has a pond, tennis courts as well as natural habitats and a wonderful collection of native and ornamental trees. You may have a lot to move or you may have, relatively, little to move, in either case we have the best removals service for you. We can give you a wonderful, practical man and van service which is so efficient and cost-effective for those smaller moves. The removal men of our moving company in Denmark Hill, SE5 are highly experienced always and if you were looking to hire one or more removal trucks, then again, you get the same expert service as well as transport which has GPS, lifts as well as so much more. We have packing services and we supply packaging materials at wonderfully affordable prices because we know that these additional services are even better for you when they are cheaper for you. 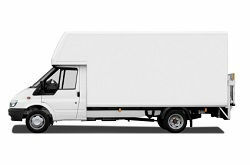 Other services we provide include removal van hire and removal truck hire. This is ideal if you have house clearance you need to carry out, for example. We also work with a number of businesses on a regular basis whether it’s an employee relocation or an actual business relocation. What doesn’t change is the fact we are a removals firm that can be relied upon. This includes giving you a lower price than many other removal companies. So, call us now and see how it doesn’t necessarily cost more to hire a better moving firm in Denmark Hill. Thanks so much! Really appreciate their house moving help in Denmark Hill.